When it comes to a trustworthy, capable, and skilled technician for remedying a toilet overflow, pipe burst, or water heater malfunction, there is no one more adept than 911 Restoration Milwaukee and our water damage Racine team. Our experts know that the best way to prevent a water damage situation from getting worse is to arrive at the scene quickly and start providing restorative services immediately. 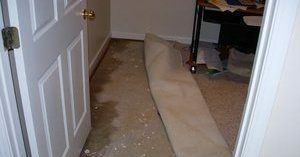 My water damage Racine team and I can be anywhere within 45 minutes to start eliminating water from the property, this way we can mitigate the damages that occur when a ceiling leak happens or a pipe bursts. 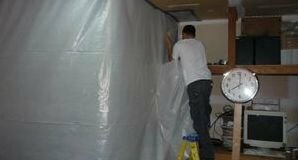 We prevent mold growth by being at the scene early and with the right equipment to get the project done. 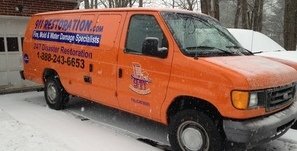 Our water damage Racine crew can be anywhere quickly, but they are also available to take on any project 24/7/365 too. Water damage doesn’t wait for anyone, and that is why we make sure to be ready and mobilized with all of the appropriate tools for the job, no matter when it occurs, where, or how big the job is. Don’t let water from a toilet overflow ruin your day and your bathroom. Contact our water damage Racine crew with 911 Restoration Milwaukee for all the restorative assistance your structure needs today! When it comes to saving a home from the effects of a water damage scenario, there is no one more capable and knowing than our water damage Racine team, but they are also highly adept at helping people to protect against these situations through simple maintenance too. No matter what is happening with the weather systems around us, we are always getting calls from concerned property owners who are looking for ways to keep their home or business safe from damages, that is one of the reasons why we compiled the list of maintenance tasks that can help people prevent a water damage nightmare from ever happening in the first place. Don’t forget to keep the ambient temperature of the air in your home above the freezing point so as to prevent a pipe burst from taking place. A pipe burst can happen when small amounts of water freeze in the line and obstruct additional water when the system is reactivated. This can cause the pressure to build up and a burst to take place. Check your gutters and downspouts to make sure that there is no debris which may clog the system and force and overflow or an ice dam to occur. An ice dam can spread apart the layers that keep you roof intact and then introduce water damage to the interior. While you’re checking the gutters, inspect the shingles on your roof for any that are missing, misplaced, or deteriorated. These can create spots where ice and water has easier access and can then destroy the roof in the process through water damage. Have a plumbing professional or a restoration and remediation specialist come and take a look at your property and plumbing system in order to find any abnormalities that can result in water damage when put under pressure. We try and help people as much as possible, and that’s why this list has the most common items that cause water damage on it, but there are a variety of other ways that people can do simple maintenance to keep their structure safe and dry no matter what the weather brings in. Don’t allow your home to become a victim of a toilet overflow or a pipe burst scenario. Contact our water damage Racine team with 911 Restoration Milwaukee and get all the service assistance you need today! Our water damage Racine team have seen and eliminated all the various kinds of water damage invasions that exist in this industry and that is why they knew precisely what the problem was when they got a call for a slow ceiling leak on the roof of a local townhome. When I answered the phone, the homeowner was telling me about how the leak happened during the day and then stopped again at night, and I knew instantly that it was an ice dam because this is a telltale sign that only ice dams produce. An ice dam does this because an ice dam is a collection of ice stuck in the gutters that separates the layers in the roof and then solidifies further inside. This homeowner noticed that the leak was only happening during the day, and the reasons for this is simple. The leaking during the day happens because it was getting warmer outside and the ice that had penetrated the roof was melting with the heat of the day and dripping inside the home, that is why we went straight over and knocked the ice dam down, and then repaired the roof line. Our water damage Racine crew even cleaned out the gutters so that no more ice dams could form for the rest of the season from the clog that created the first one. Don’t let your home fall victim to the effects of an ice dam, toilet overflow, ceiling leak or anything else. Contact our water damage Racine crew with 911 Restoration Milwaukee eliminate all of your ice dam impediments or other water damage sources today!